Welcome to the latest post for the Choose Your Own Black and White Printables series. If you’re just joining us here’s how this work. Each week (or so) I’m sharing black and versions of existing printables. The series will run until the requests stop coming in or I run out of printables to convert. If there is a printable (or many printables) that you’d love to have a black and white version of, just click the link above to fill out the form and submit your request. 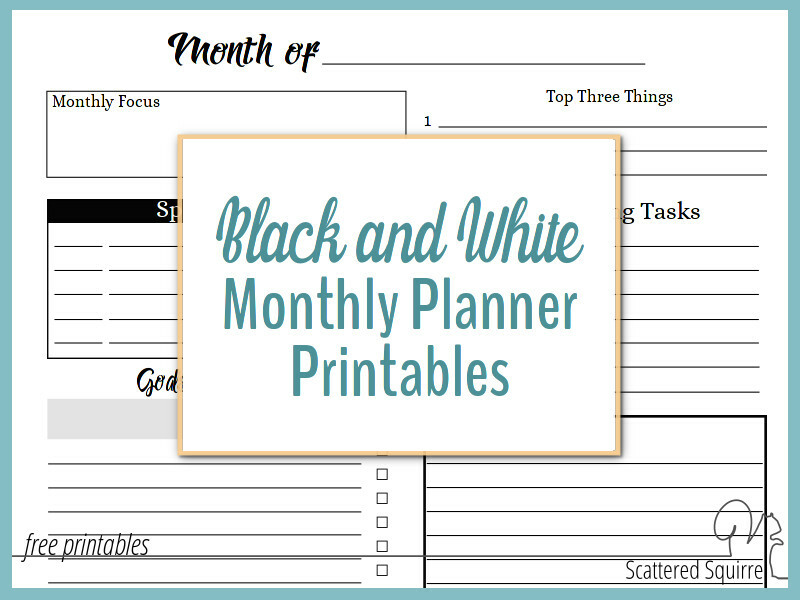 This week I’m sharing the black and white monthly planner printables. One of my favourite times to use black and white printables is when I need to colour code my planning. I use a few different colour-coding systems in my various planners, and they always stand out best on black and white. Monthly planning in particular is one place where I like to colour code my plans. I assign each life area a colour, so that I can quickly see at a glance which area is over booked and which one I might need to make some more time for. So the black and white versions of the monthly planners will quickly be finding their way into my planners. 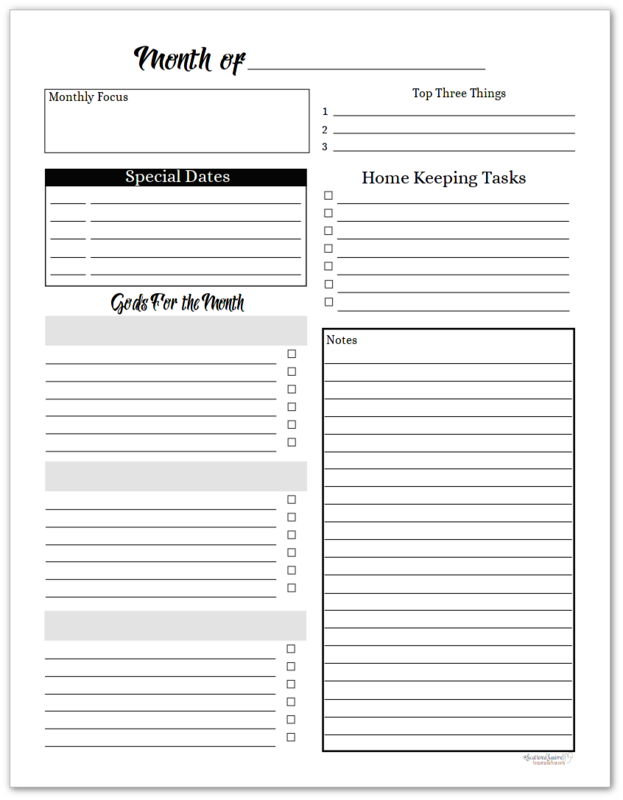 The monthly planner printables have been a favourite of mine since I made them. I like being able to sit down and plan out the big stuff for the month. Whether it’s housekeeping tasks I don’t want to forget, or working on my business goals, my monthly planner is the one place where all my plans stem from. Click here to check out the colour versions of the full and half-size monthly planning pages. 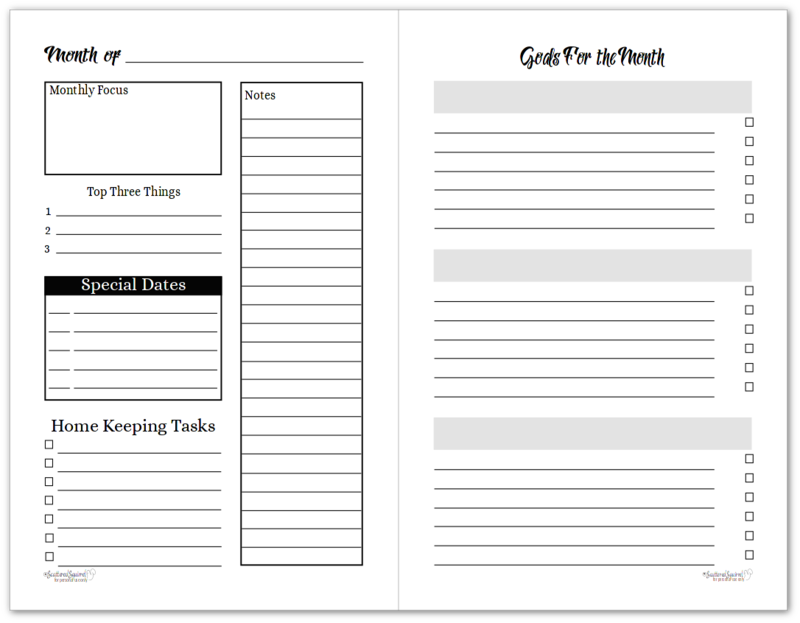 Click here to check out the colour version of the full-size monthly planner printables. 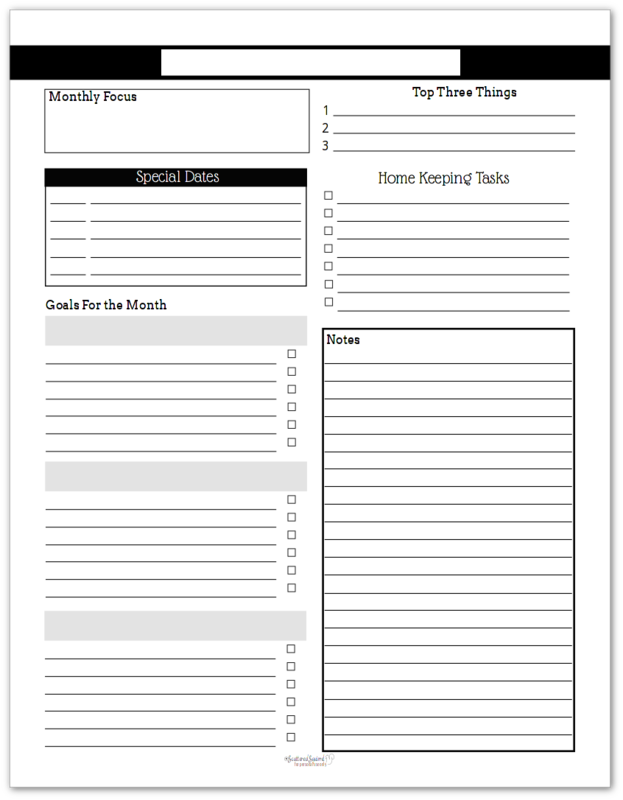 Click here to check out the colour version of the half-size monthly planner printables. Having one of these pages for each month allows me to tentatively plan ahead. 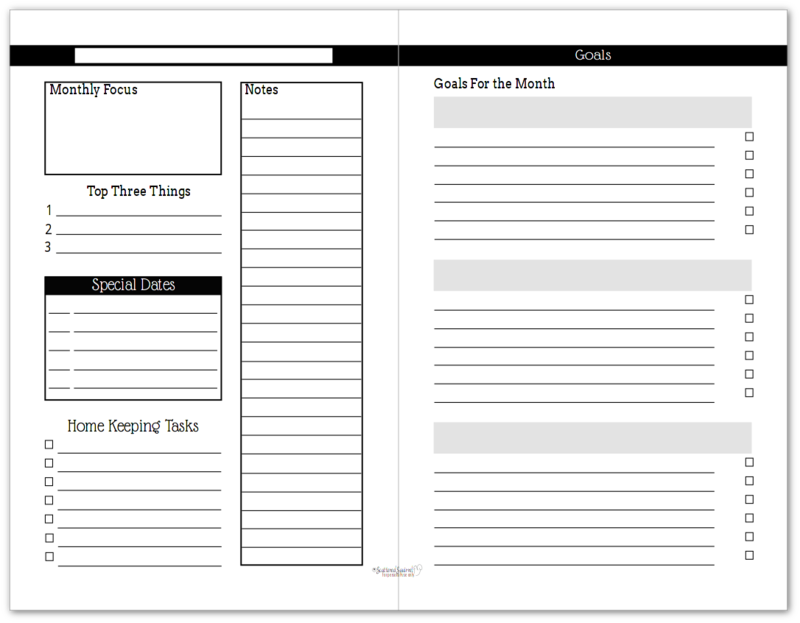 I can fill out the various sections ahead of time if I want to, which make my monthly planning sessions that much easier. It’s also helps to get those pesky, nagging thoughts out of my head and onto paper. My favourite section though, is the spot for goal planning. Choosing a focus and setting goals really helps me focus my energy a little better. As a scatter-brain I can use all the focus help I can get. I’d love to hear what you think of the black and white monthly planners? Do you think they will be a useful addition to your planner? Drop me a line in the comments below and chime in. 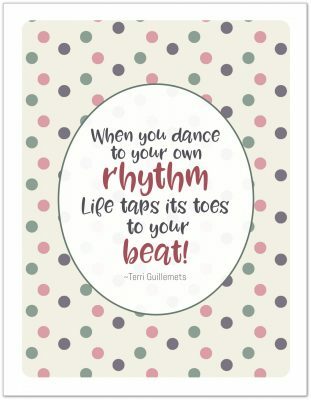 If you’re using one of my printables and happen to take a picture to share on social media, I’d love to check it out. If you’d like tag me or use the hashtag #scatteredsquirrelprintables and I’ll hop over and check it out.